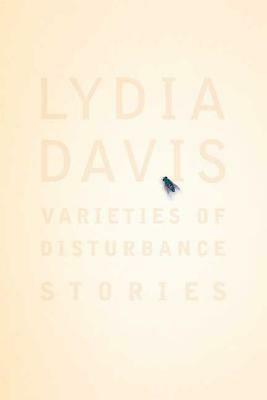 From acclaimed minimalist Lydia Davis, her fourth collection of stories that take every form from sociological studies to concise poems. If economy and precision are regulating principles for Davis, the words do not adequately indicate just what it's like to read her work. Her narrators solve puzzles, volley equations, and worry over issues of semantics, while choosing to ignore the human implications of their pursuits … Davis avoids the narrative dressing that typically assists the reader's feelings. 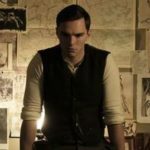 Furthermore, there's a nearly autistic failure to acknowledge the emotional heart of the matter, and a curious lack of interest in narrative scenes between characters. The diction is cold and delivered in an anthropological monotone, which throbs like a bass note, suggesting that human beings are no more significant than a glass of water … Davis is an extraordinary technician of language, capable of revealing elusive human tendencies through the most unusual means. [Davis] wants us to engage in a minute scrutiny of language, to pay attention to the valence of words and the logic of syntax for what they reveal of character, interiority and story. Sprinkling her present collection with aphorisms, anecdotes and internal monologues, she ensures that we will read very carefully indeed … Against all expectations, Davis coaxes idiosyncrasies of personality and society from a dry subject, but ultimately the writer’s intelligence and expertise are more memorable than the character studies conducted through laboratory samples of language. Still, when Davis sets her fiction fully loose to ponder questions of language and being, the results can be remarkable … Her belief that language is both the subject and the medium of fiction has not led her, as we might expect, into solipsistic echo chambers, but into new worlds. I sometimes had the odd feeling I was reading a translation. Perhaps it was because of her pitch-perfect imitations of other authors (in this volume, ‘Kafka Cooks Dinner,’ a poignant and funny tour de force, is the sole example) or her somewhat puritanical renunciation of the swish of a signature style (a show of reserve that has itself become immediately recognizable). Her concerns are a translator's concerns: the necessity and difficulty of close reading — of books, of people, of the world; the obligation to refrain from imposing one's own agenda on that reading, however tempting it may be; and the impossibility of fulfilling that obligation … One of the great pleasures of Davis' work is discovering the many forms a story can take. And how much of the shtick of fiction it can do without: almost all of it. What did you think of Varieties of Disturbance?